Back in the 1990s it was thought the more exfoliation the better. Alpha Hydroxy Acids and Retinol were popping up in every conceivable skin care product. At that time it was thought, that causing inflammation by over exfoliating would stimulate the skin's natural healing responses. My views and many other professionals ideas on exfoliation have changed over the years. I believe that exfoliation is a necessary component to good skin care. It removes dead cells, decongests the pores and allows important ingredients to penetrate the skin. However, too much or too aggressive exfoliation is counterproductive, unless undergoing a treatment to correct a skin condition. Before I go into the problems caused by over exfoliating let's look at the different forms of exfoliation used today. Enzyme Peel – Predominately made from fruit enzymes. The most common, and what I use most often, are found in papaya (papain) and Pineapple (Bromelain) and Pumpkin. These enzymes dissolve the dead skin cells. Alpha Hydroxy Acids – Simply put, these acids dissolve the “glue” that keeps the dead cells on the skin. These acids are derived from fruits, milk or sugar. These are available in many over the counter products and are used for professional chemical peels. 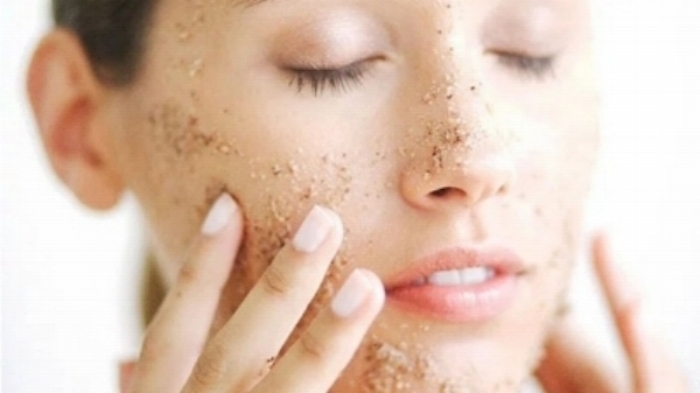 Mechanical Exfoliation – Dead skin cells are removed using friction with materials such as jojoba beads, bamboo powder, rice powder, ground nuts, etc. Only very fine powders or rounded material should be used because irregular granules may cause micro cuts and cause irritation or spread bacteria. Clarisonic Brush - Clarisonic is a skin care tool sold at specialty beauty stores that uses a softbrush. Athough the company claims it is a makeup remover, to me, it is really another way to manually exfoliate the skin while removing dirt and makeup in the process. My problem with Clarisonic is not with the machine itsef but with how often the instructions say to use it. It would be bad enough if they recommended once a day, but they go so far as to say it is gentle to use twice a day. As with any at home exfoliating product, once or twice a week is all that is needed. Microdermabrasion -minimally abrasive instrument to "sand" your skin, removing the thicker, uneven outer layer. My problem with microdermabraision is 1) it is very aggressive and it is not suited for all skin types 2) it is overused and 3) the training on this is minimal. When I was trained at two different spas the training was less than one day and many of us never even had a chance to try it during the training. So just what is wrong with too much or too aggressive exfoliation? Well, it goes back to causing inflammation in the skin. When the skin becomes inflamed it causes free radical damage, therefore, creating tissue destruction which ultimately leads to aging. In addition this type of exfoliation removes the lipids (fats) barrier. This moisture barrier protects against invading microorganisms, chemical irritants, and allergens. If the integrity of the moisture barrier is compromised, the skin will become vulnerable to dryness, itching, redness, stinging, and other skin care concerns. All the exfoliants I use, or recommend for home use, are made with the finest ingredients and will exfoliate the skin without causing any trauma. To get more skin care tips and find out about our specials sign up for our newsletter.